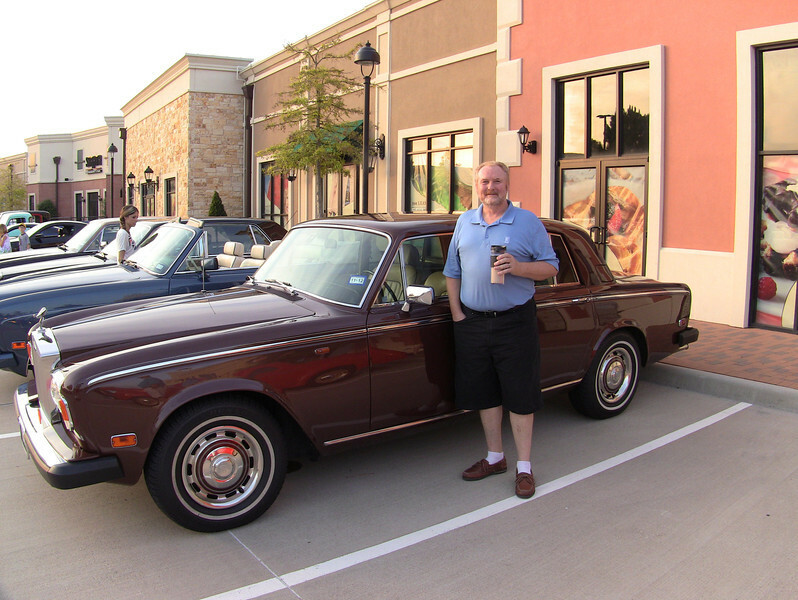 Five of our early risers made it to the coffee and cars get together this weekend. Coffee and Cars is a no charge no registration car owner get together of people that just love cars. Although it is not organized by cars, their owners generally congregate by the type of car they own. Although the show officially starts at 8:00 a.m. people start getting there 2 hours earlier to secure areas for their clubs. The 6 Rolls and Bentley motor cars there were among a sea of some 1200 cars. The PMCs were almost matched numerically to the number of Schumacher Ferrari race cars that were there. Six PMCs and six Schumacher Ferrari race cars…sound about right after all both are members of a very exclusive group! There were cars to match the tastes of every car enthusiast. Parked near the Schumacher race cars were about 100 Ferrari and Lamborghini autos. There were muscle cars, hot rods McLaren Mercedes, Porsches and whatever you hope to see.